Good afternoon: I hope you are having a great Friday. 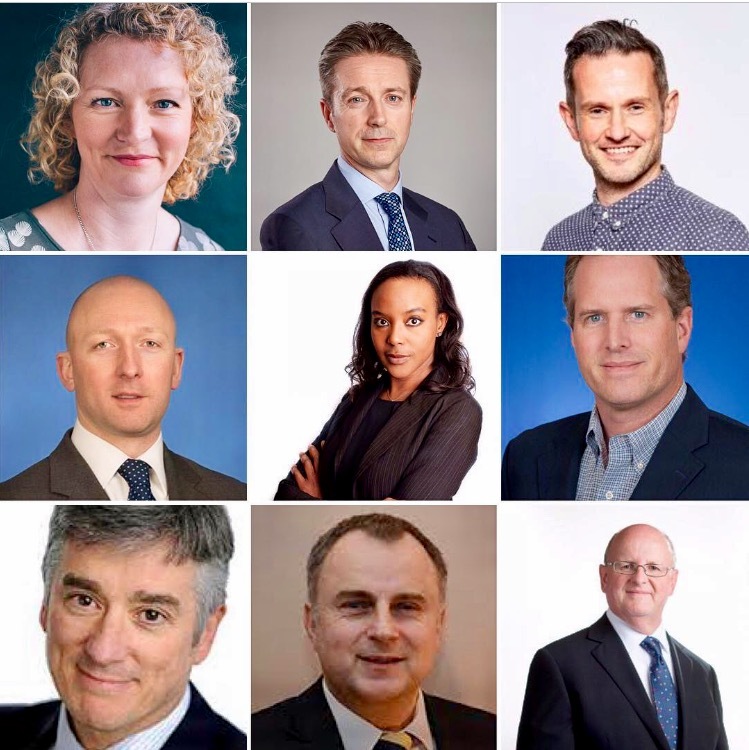 You may be interested to know that on Wednesday 2 November 2016, we hosted our inaugural General Counsel Summit in London to celebrate the Club’s 5th birthday (established October 2011). Some of the most influential General Counsel in the UK gave us inspiring Talks about their career journeys. Also Shaunagh Connaire, the Emmy nominated Filmmaker & Reporter at Channel 4 was our final inspiring guest speaker of the evening. Below is a very short (15 second) video from our Summit. Good morning Colin, WOW, how very impressive!!! I couldn’t identify which speaker I found the most interesting, they were all so passionate and insightful, telling their own unique stories, it was certainly the best event of yours that I have attended so far!! You have a habit of continuing to raise the bar!!! A very Big well Done! Thank you also to Keltie’s for their excellent hospitality. A very big happy 5th Birthday!!!!! 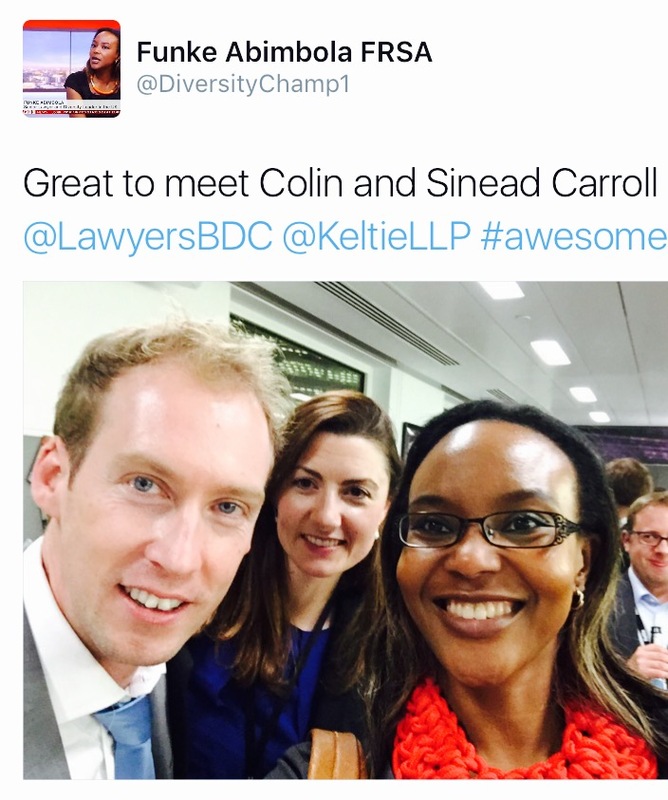 “Hi Colin, thanks for organising such an inspiring event. 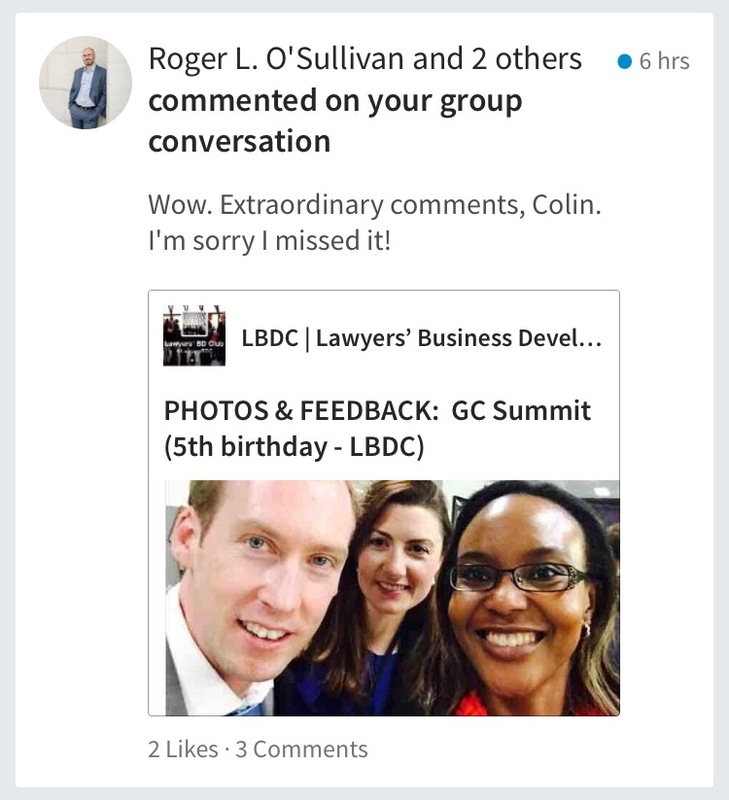 “HI Colin, I’ve been meaning to write to thank you for such an amazing event on 2nd November… It was the first LBDC | Lawyers’ Business Development Club | event I’ve attended and thank you so much for inviting me. Hi Colin, thanks so much for organising the event yesterday. It was really fascinating to hear the speakers’ personal stories and their tips for success. I really enjoyed the event. Hi Colin, it was an excellent afternoon yesterday. Good to meet new people, broaden one’s network, and hear a variety of stories and tips. Thoroughly worthwhile”. “Hi Colin, I thought it was a terrific event and a fitting celebration of the first 5 years of LBDC. Hi Colin, just a quick note to say how pleased I am to see how well things are working out for you – thoroughly deserved and a tribute to your sheer hard work, personality and initiative. Having been fortunate enough to be invited to a number of interesting talks over the years, I can genuinely state that some of the speakers you “persuaded” (in your inimitable style) to address their fellow GCs were top notch and a real draw in a competitive field.. ….Genuinely, if there’s any way I can help, just shout…..Meantime, have a lovely weekend and congratulations again on reaching the 5th anniversary of the LBDC – onwards and upwards! A very nice touch from Ketlie – to celebrate our 5th birthday they surprised us by wheeling out a birthday cake! Some Twitter & Linkedin reactions below. There was great Twitter activity during our GC Summit. 1,700+ lawyers have joined the private LINKEDIN group for the LBDC | Lawyers’ Business Development Club |. It would be great to see you at one of our future events. If you would like me to send you a future invitation, please drop me a line. I look forward to hearing from you.